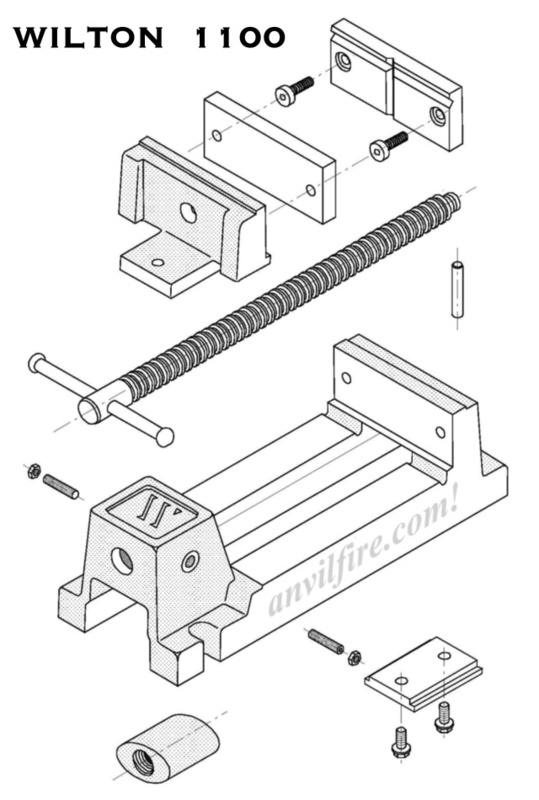 A drill press vise is a specialty vise designed for one purpose, holding work on a drill press while drilling holes. It is not heavy enough for milling, its not strong enough for general work holding. It is only good for what it is designed for. 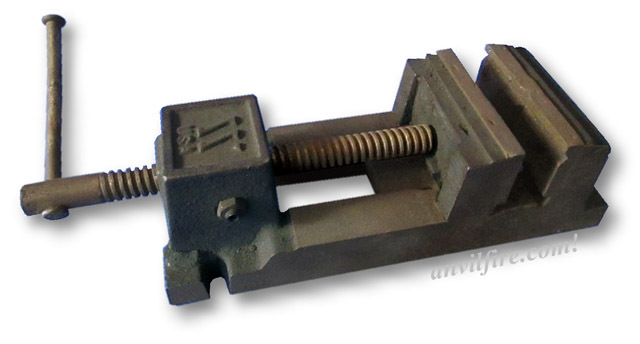 This vise is SIMPLE, it works well and its just heavy enough to do the job (not too heavy). The vise has machined sides so it can be used on edge OR clamped in another vise (a larger version of itself). A V-groove in the back jaw lets it clamp round work and when on its side the vise can be used to center drill rounds and shafts. The moving screw does not go past the jaws as many do thus it is not an obstruction to drilling through a work piece and does not get dinged by the drill bit. Drill Press Vise in use. Always buried in chips. 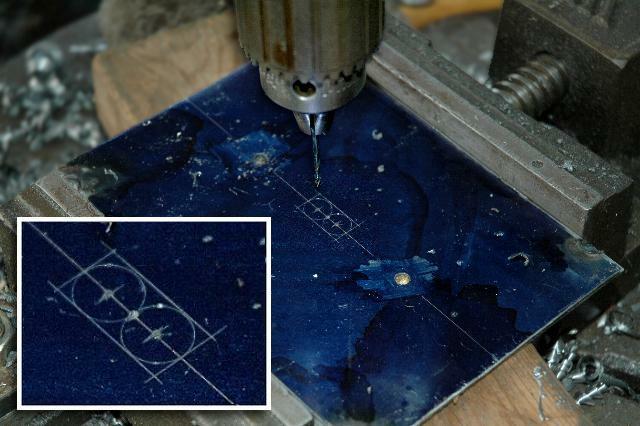 Pilot drilling 16ga part supported on wood block in vise (common practice). I bought this used 6" Wilton drill press vise at a local Saturday morning flea market. The jaw slide surface had drill holes welded up with ni-rod and then ground on a surface grinder. But the repair job was not finished. With the working surface lowered the jaw retainer did not fit snuggly against the underside of the slide ways. SO the moving jaw rattled around. . . The price was right. When I got home with the vise I took it apart, chucked the 6" rectangular jaw in the 6" Craftsman lathe (a very close fit) . . took off a bit and left a few thousandths for clearance. Minutes later it was working perfectly and I've been using it regularly for years. 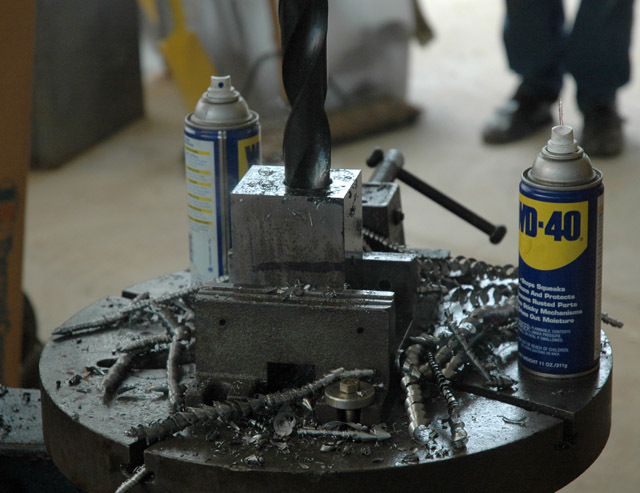 With the drill press one of the most used machines in the shop, this vise is one of the most used tools as well. Drill press vises are most often used alone but we often use other furniture with the vise. 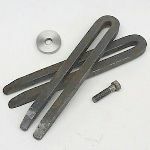 Spacers are used to support long pieces and clamps to hold down odd or heavy work. Wood blocks slightly narrower than the work are used to support parts and protect the vise when drilling through over the ways. When it won't fit in a drill press vise or if you don't have one. From the collection of Emerald Koch, BlacksmithParadise.com. Includes parts diagram and cutaway view.